I guess Aquaman really has made it, because apparently he's now so popular that there's money in ripping the concept off! 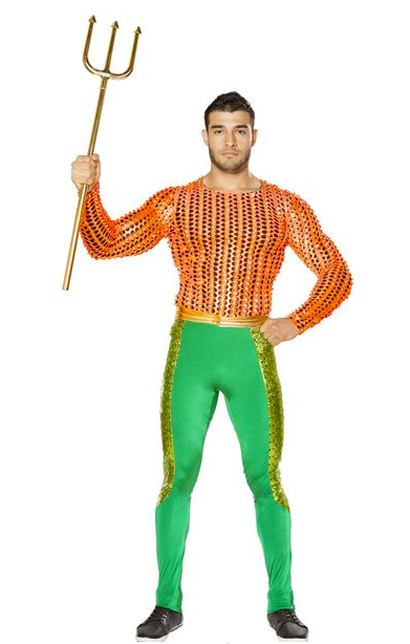 This is totally not an Aquaman costume, it's a "Sea King" Halloween outfit, complete with pointy gold thing (not a trident). Nice color scheme. The trident is very unimpressive. Could be so much worse, so let's be happy.